Fun for Everyone...Pre-school, elementary, teen and adult! 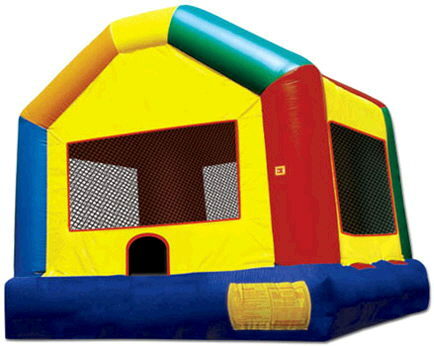 This is the standard bounce house! Fun for all Ages! * Please call us for any questions on our moon bounce 13 foot x13 foot all ages rentals in Pipersville PA, Hatfield PA, and Bucks & Montgomery Counties in Pennsylvania.